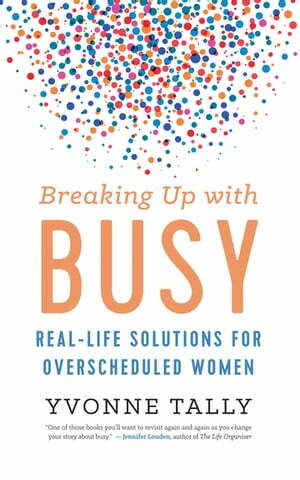 Collins Booksellers - Breaking Up with Busy by Yvonne Tally, 9781608685264. Buy this book online. Overbooking and undersleeping have almost become status symbols, and having it all seems to be synonymous with doing it all, yet what do we really accomplish with so much busyness? Yvonne Tally wants to give you back your life by helping you break the busyness habit. She offers realistic, step-by-step, and even fun ways to get off the busyness hamster wheel and reclaim your time. Yvonne shows how the benefits of living a more balanced life can improve your longevity and spiritual well-being. She outlines ways to shift and calm your mind, learn how to say no, and create your own “busy-busting solutions.” With fifty-two refreshers and reminders, Breaking Up with Busy provides incremental ways to change habits, transform thinking, and reconnect with your unique, personal sense of play and pleasure.